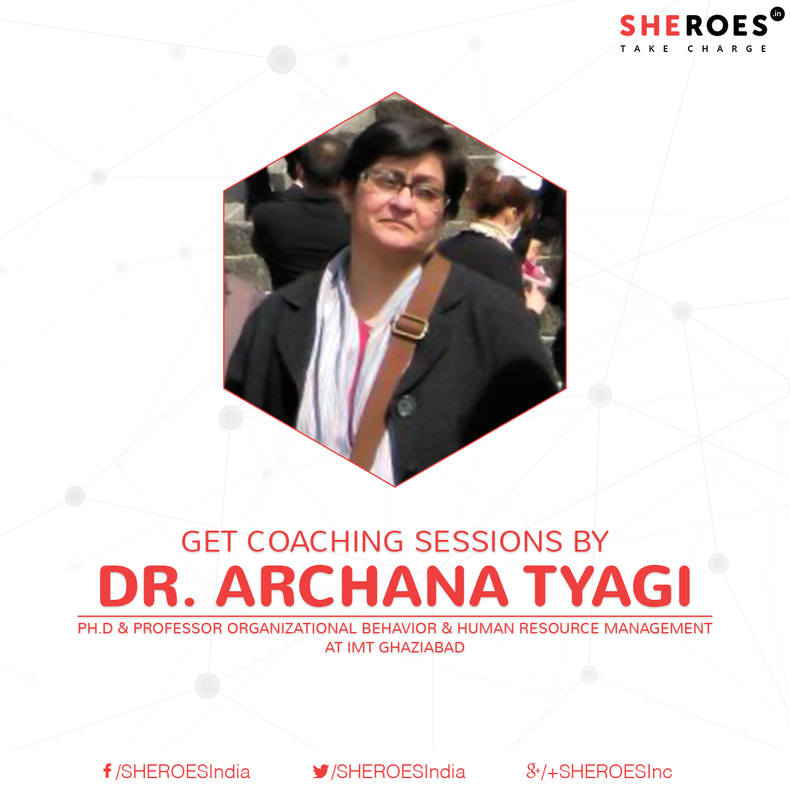 Dr Archana Tyagi has been a Professor of Organizational Behavior and Human Resource Management, at IMT Ghaziabad. She has worked extensively with public and private sector in consulting, training and coaching. Her recent consulting assignment was in the 'Content Development’ of IT-ITES Sector Skills Council NASSCOM (July –Oct, 2014). She is a certified practitioner of Bar-On EQ-i 2.0 (Emotional Quotient Inventory) & EQ 360, conducted by High Performing Systems Inc (US) and Big Five. She is an accredited trainer of MBTI and Step II- (Expanded Analysis Report (EAR); DISC and ‘Entrepreneurial Motivation Training’ (EMT) from NIESBUD, India. She has also received assessor certification on Competency Mapping by SHL UK and awarded certification by 'Grid International Inc'. She is a Coach with Coach for Peace and choosemylife of Geneva, Switzerland. She has also started her journey of becoming a Professional Life Coach in March 2015, from Coach for Life (ICF accredited course), through ODA, and completed Part 1. She is also associated with xpertconnexions (An iso9001:2008 Certified company) as a Member, Advisory Board. The coaching service is a customized on-phone assistance provided by a SHEROES coach to help you refine your career and steer it in the right direction. Tips on showcasing and improving one's professional profile and cover letter. The service includes discussions on personal strengths, weaknesses, preferences and fit with the roles aspired for. The coach may also discuss key trends, skills for the workplace. The service also may recommend potential professional upgrade opportunities. The service will identify potential roadmap and to do's. The candidate needs to sign up on SHEROES.in and fill up the profile in as much detail as possible. Each slot will be of 30-40 minutes. 7 Steps To Kickstart And Boost Your Business!